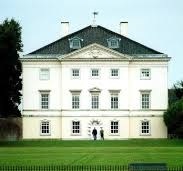 This walk leaves from St. Margarets station, crosses Marble Hill Park to the river Thames. 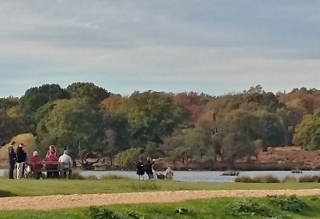 A pedestrian ferry connects to the tow-path on the far side and a foot-path through Petersham enters Richmond Park. 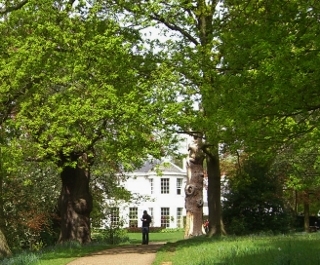 Climb up the hill to Pembroke Lodge (former home of philosopher and mathematician Bertrand Russell) then walk through the park to the gate at the top of Richmond Hill. Walk along the terrace before going down through a meadow to return to the riverside. 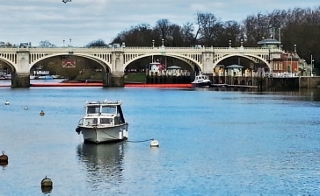 Walk downstream through Richmond, past the White Cross pub, to Twickenham lock. Cross the river here and head back up river before returning to St. Margarets station. 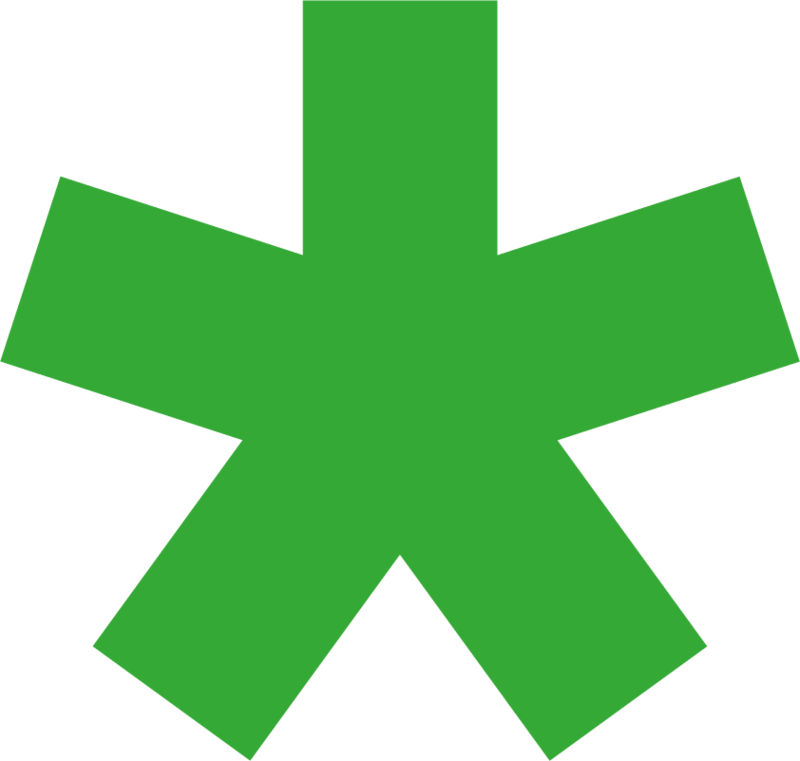 Total distance 8 km (5 miles). 1 516800 174250 Turn right out of St. Margarets station and go along Crown Rd. 3 517037 173877 Follow tarmac path to playground then straight ahead to follow path going behind Marble Hill House. 4 517320 173620 At T-junction turn right and then ahead to river bank. Turn right and ahead to ferry. 6 517845 173535 At the slipway turn right up the road, away from the river. 8 518175 173445 Follow the path to the right, where it joins a path across the field from the left. 9 518180 173310 At the T-junction with the main road turn left and cross road when safe to enter Richmond Park through iron gates. 10 518290 173295 From the gate take a path across the park to the east south east, heading up the hill. Aim for a small iron gate in a fence at the base of a small wood. 13 518680 173050 Leave Pembroke Lodge by the path you arrived on, past manicured flower beds and through a gate. 14 518510 173730 Leave the park and cross the main road, going right past the Star & Garter. Ahead along Richmond Terrace. 15 518320 174010 Just after the Roebuck pub turn left down the hill, across the open meadow. 16 518135 173930 Cross the main road at the bottom of the hill and turn right along the Thames towpath. 17 517790 174545 Continue along the tow path, under Richmond Bridge, then straight on past the White Cross pub. 18 517340 174855 Follow the tow path under the railway and road bridges as far as Richmond Lock. Cross the Thames here. 19 516950 175020 On the far side of the lock bridge turn left along the tow path and continue straight on under the road and rail bridges. 20 517270 174740 Immediately after the railway bridge turn right up a narrow footpath next to a fence. 21 517115 174575 Keep straight on where the path joins the road. 22 517125 174220 At the T-junction turn right and at the next T-junction with the main road turn right again.